Sweet & Spicy flavored fancy whole cashews and shelled pistachios. 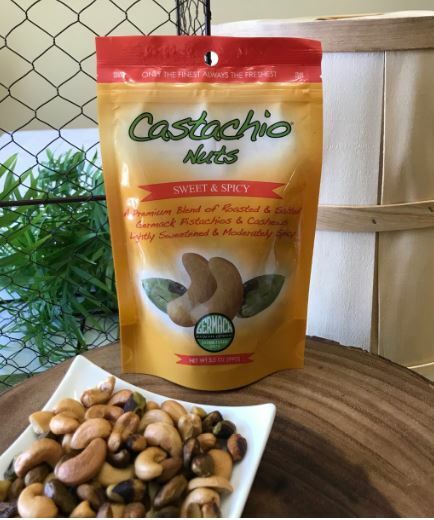 This nut mix is perfect for those that prefer a spicy snack with delightful kick of sweet and spicy flavors with each cashew and pistachio. We roast and season the fancy cashews and shelled pistachios in pure canola oil to create this spicy nut blend. This nut blend comes in our re-sealable zip lock stand up pouch.